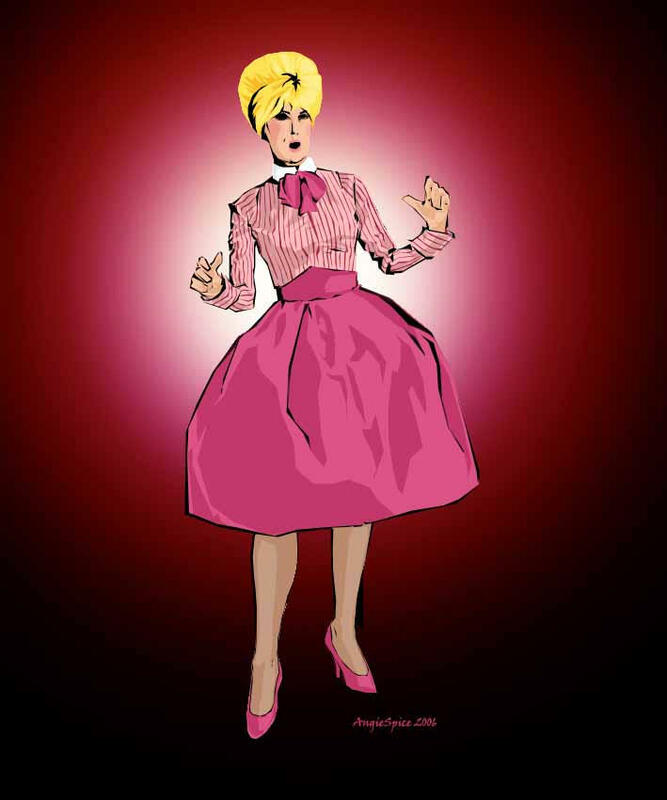 Another lovely drawing Wend, sounds like Connie is over the moon! Wow, that's a nice tribute. Yes a lovely tribute Linda, and a lovely thought. Thanks! The rose is supposed to be the "not really a Dusty rose" rose from my Dusty garden. This is not a new one, I just put it on because the art forum is falling in decline a bit. Yes it is a lovely drawing Wend, I think teeth are so difficult to draw. I've just finished a pencil drawing of Dusty and thought I would post it up here to add to all the Dusty artwork. 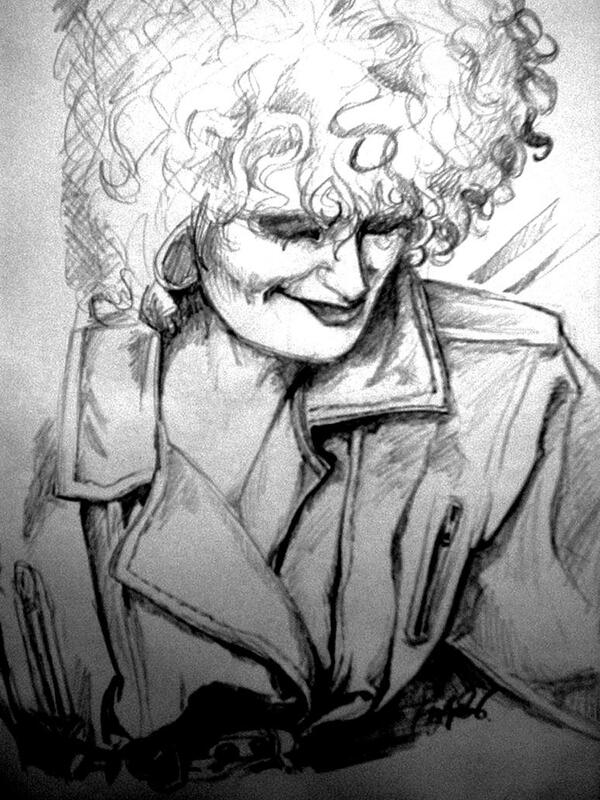 Dusty, pencil drawing, June 2013. You keep getting better Nicola. Dusty looks kinda moody on this one Wend. Very well drawn. This is a nice one too Nicola. Dusty reminds me of someone in this one, but I can't think who. Yeah, moody Dusty, Wendy, nice one! Good work from you too, Nicola! That's a difficult image to capture and you've done well. Thank you I thought I would try drawing in pencil to get finer detail, I'll continue practicing! Here's something I found online, I don't recall seeing before. Of course, just posted in June. I think it's a good job, except for the blue eyes. That's lovely, wish I could paint like that. Shame about the eye colour, but then her own eye colour was very unique and would have been difficult to capture (though I'm sure Wend would do a great job ). Thanks Nancy that's brilliant that. Its a nice painting Nancy, I've seen it when surfing, but I never noticed the blue eyes. Nice Find Zoey. Those three are great, I also like this one. I had the opposite problem to you. Yes I've seen them before Zoey. How can you tell I spend half the day surfing! LOL! It's worth it when you can answer almost every question we throw at you! This was on E-Bay, cannot locate it now, perhaps it's been sold??? Thanks for putting the art on all of you. You must be very patient surfers! I Bought this Little Canvas Painting On E-Bay recently. Only £12. Just found this little sketch on Esty (there are some beautiful things on their site). And this is the Rock and Roll Hall of Fame 1999. Yes thats a nice one from her site isn't it? Bit different. Yes that is gorgeous Zoey, its very well done isn't it. Lovely pics Zoey. 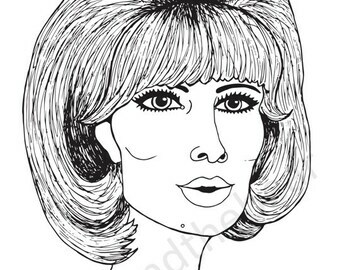 This is a rather expensive one on E-Bay proclaiming to be Dusty, but to me it look more like Patsy out of Absolutely Fabulous. Agree it's not Dusty more like "Pats" saying "Bolly"
And another cheaper one, by the same artist, Personally I'm not as keen on this one. http://www.ebay.co.uk/itm/Dusty-Springf ... 27eb090493. Not too keen either Darren. Well I'm no painter, but I think I could do better for £275. I think it is grossly overpriced. well they just look like a bloke in a wig, sorry. It's been a while Liz. Love it, Wendeh! One of your best. This one is rather good. A little too butch and the eyes aren't quite right, but those are always tough with Dusty. Don't care for the other one. Yes that one is a bit butch as you say Bosseh, I couldn't think of a word for it, but that will do. allherfaces wrote: Love it, Wendeh! One of your best. That one might get us a bit of flower money in time. Be patient. Only with a minimum "bid"! Just putting a couple of links to pictures on here for the time being as I have temporarily closed down mine and Cas's web site, and I'm not sure how long it will be before I get it up and running again. Ain't she just looking FAB when you see all her pictures together. Last edited by Hampson on Mon Nov 03, 2014 10:13 am, edited 1 time in total. What a Fantastic Portfolio of Drawings & Photos Wend & Cas. Yes, they All look fab singularly but as a Collection even more so. Hope Dustyspringfieldsoul4U.com is back in business again soon Wend & Cas. I cant seem to find this pic on the site anywhere so thought i would post it today. 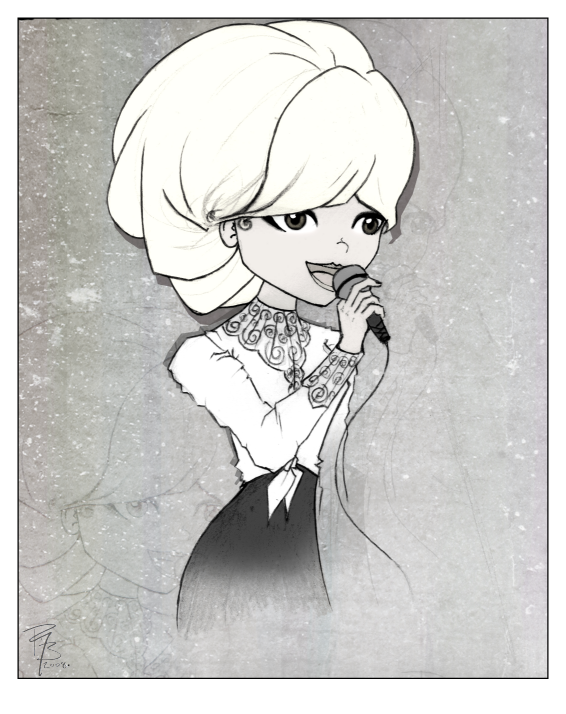 Is this your gorgeous Wend drawing Liz? Copied from Dusty web site. WOW! THAT'S A FABULOUS DRAWING LIZ. AMAZING WORK WEND. FABULOUS LADIES, THANK YOU BOTH. Cardiff Bluesgirl wrote: I cant seem to find this pic on the site anywhere so thought i would post it today. Hi Liz - I didn't remember that I did that one for you, I know I did it for Kathy first and I think it was one of the very first of the 60 or so that I did, so that is why it is not on here, it was on the old site along with most of them. 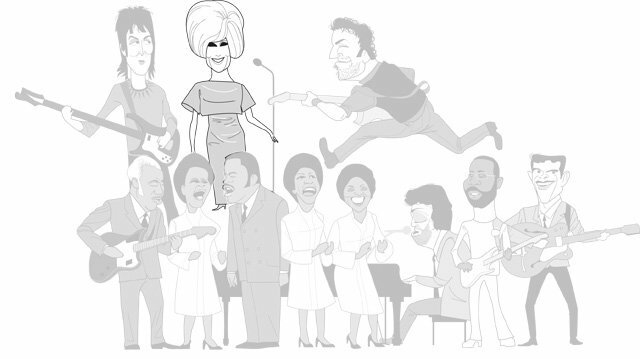 And it got lost in the changeover to this updated Dusty site. 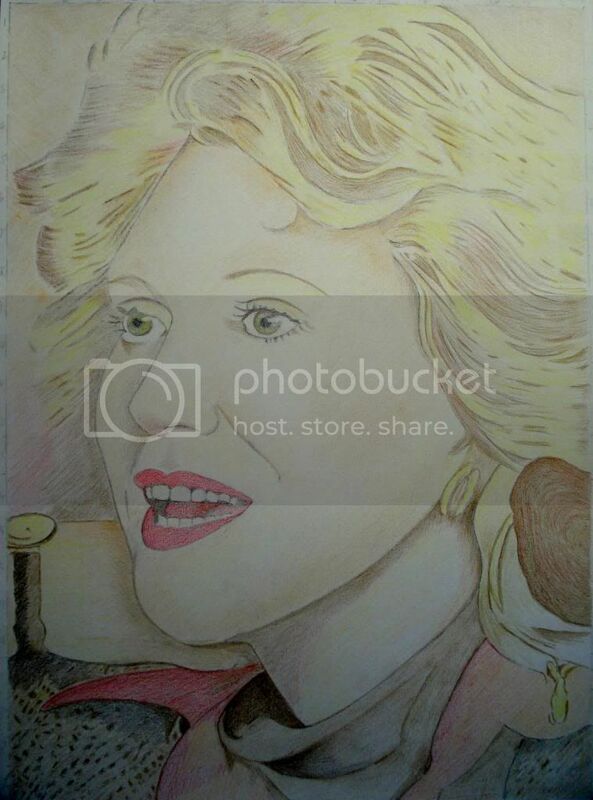 I have put a link on somewhere to most of them - do you think I qualify to go in the Guiness Book of Records for drawing the most Dusty Springfield pictures ever. LOL I think I should qualify, as it is about 7 years work. 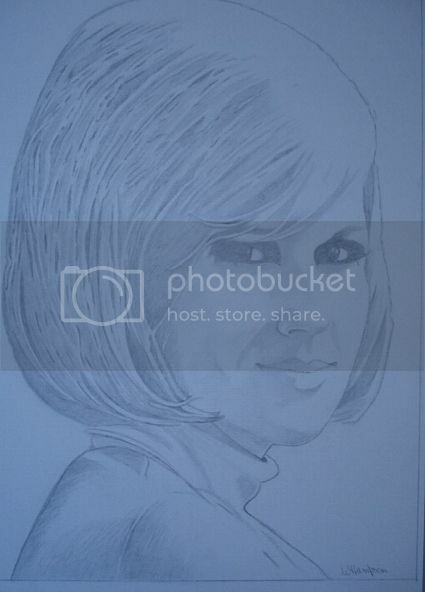 pat.dunham wrote: Is this your gorgeous Wend drawing Liz? Copied from Dusty web site. Yep Pat, one of my first efforts. Thanks Lynn, I think we've just about done it all now. From my point of view anyway, there is not much more to do, as I have done all the popular Dusty pictures, and though I could find more, they would be a bit samey. i have two, the first one you sent me is on my bedroom wall, you kindly sent it to me after my Mother died to cheer me up. Its another famous and lovely one. Yes I did remember that one Liz. Heck my memory is not what it was. Two very well drawn pics Wend, you must be delighted to have them Liz. I have two Wend did for me too. Fantastic artwork Wend and Cas. So much talent on this site. Keep up the terrific work . Lucy wrote: Fantastic artwork Wend and Cas. So much talent on this site. Hi Lucy - someone else is having the same problem and I have tried to resolve it, but it works for me and several other people have tried it, so I don't understand why it doesn't work for others. Nearly all of the pictures are on the Fan Art thread somewhere. Thanks for getting back to me. Still won't work but never mind. I'm working from an iPad so I don't know if that has anything to do with it?? The other person was working with her iPad too, but she managed to get them up with these links. I wonder if it is to do with location. Now I did send the link via email to her, so we could try that if you would like to PM your email to me. That's a lovely one Cas The trouble is, everything you post on here I want!! I like that Cas, very nice. Last edited by Hampson on Tue Jun 02, 2015 7:59 am, edited 1 time in total. That's certainly a bit different Cas, I like it, But there is not much of a likeness, mainly because he hasn't given her any eyes, and Dusty's eyes were all important in her portraits I think. You can't have Dusty with no eyes. Dusty's eyes were her trademark. Otherwise it could be anyone. 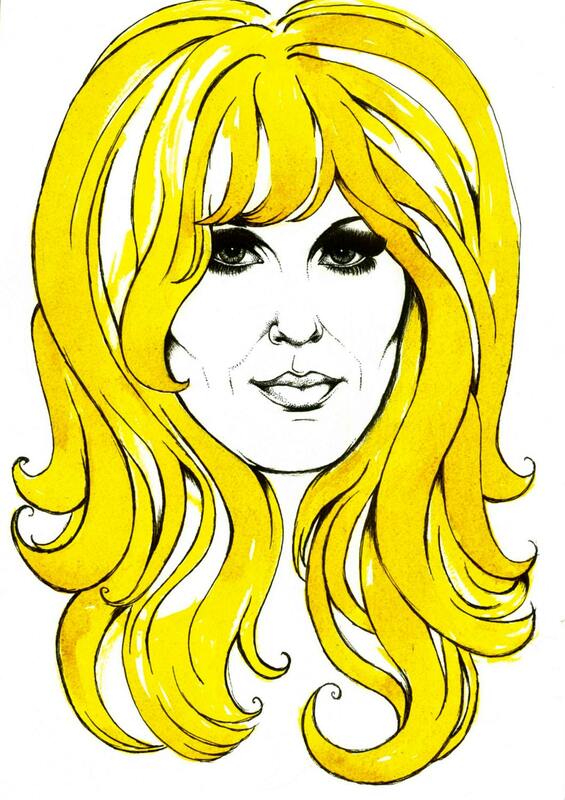 Yes I would agree with you Wend, for me Dusty is all about the eyes, her humour and the music. That's really beautiful Dave. Thanks for sharing. Last edited by Lucy on Mon Nov 30, 2015 3:47 am, edited 1 time in total. That's fantastic Wend, I absolutely love it! What a fantastic piece of work it's like looking at a photo super spot on!! Absolutely gorgeous Wend. Right up there with your best. 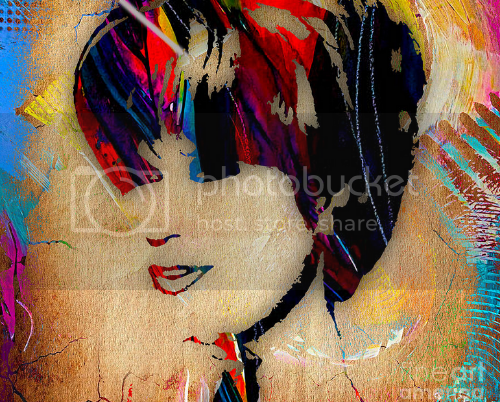 More lovely work from you Wend .. I nearly always do a blue background on the coloured ones too, mainly because it is the only colour that will suit. Some crayons are just unsuitable to do a large expanse of colour, so it has to be blue background. I find I often ruin the picture by trying to put a large amount of one colour. So I do try to be a bit innovative sometimes, by breaking it up. I've got a heavy duty printer, and when I print out the photo to copy I often get some strange colours thrown out by the printer too, and that gives me ideas. ie the all blue one I did of Dusty and also the red one. The blue one was where the printer was running out of ink, and it came out all blue, and I thought hmm this would make a good drawing in blue. I love that new one Wend, you have excelled yourself again. Lovely drawing.